Someone asked me to summarize 2018 in four words, so I told them, "Two thousand and eighteen." I hope you all had a wonderful time spending the holidays with your families and friends. For me, it meant traveling down to southern California and catching up on sleep, waking up to eat food, and then crashing on the couch to get even more sleep. Unfortunately, I could only live that luxurious lifestyle for so long before needing to come back to reality and head back to work, which in my case, happens to be working on Halo - and I must say, walking into the studio and being greeted by Spartan statues is a nice way to start the working year. Speaking of a nice way to start things, our first Community Update in 2019 will hopefully get us rolling in a good way, especially with all the Halo 3 and Halo 5 action happening this weekend. The Halo Classic by UGC and a Xbox Free Play Day weekend for Halo 5 (still with Double XP) means lots of fun times lie directly ahead. The Halo Championship Series loves kicking things into gear quickly and effectively at the start of every year. Last year, we started our HaloWC tour in February with the Orlando Open and London Finals. This year, we're throwing it back to Halo 3 and starting even earlier - the second week of January - with the first HCS Grassroots partner event with our friends at UGC! I realize we've been beating this drum since it was announced at the HCS Finals 2018 in November, but it's finally here. The Halo Classic by UGC has sold 128 team passes and should have the highest team turnout of any Halo event in recent memory. Is it the game? Is it the nostalgia? I think it's just the strength of the community rallying behind this event to show we can have a good time. For more info, check out the official event page at ugcevents.gg and follow UGC on Twitter. Last but certainly not least, you can prepare for the event by watching our interviews with top Halo 3 players on @HCS! Every year, the Gamers Outreach Foundation hosts a competitive gaming tournament, streaming marathon, and LAN party known as Gamers For Giving to help drive awareness and contributions for their charity. This year the event is happening on March 23-24 and will host a Halo 3 2v2 tournament which will be supported by HCS Grassroots! Just last Friday, the HCS Team announced the initial details of the first official HCS event of 2019. 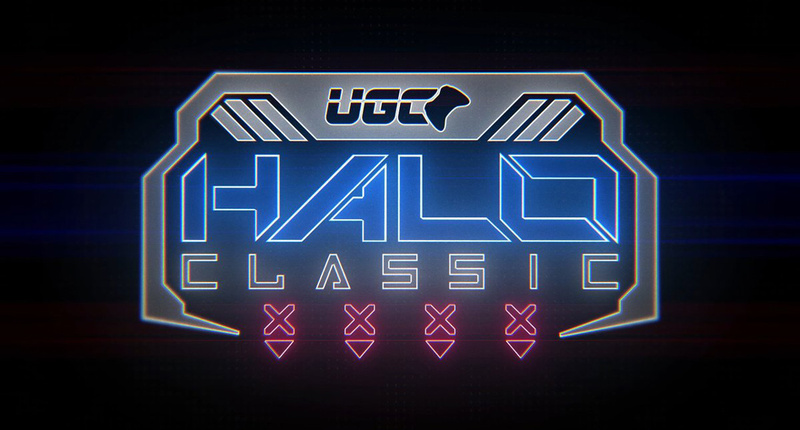 It will take place in Austin, Texas on March 15-17 and will feature a six team showdown between those that take the Top 6 spots at the UGC hosted Halo Classic. 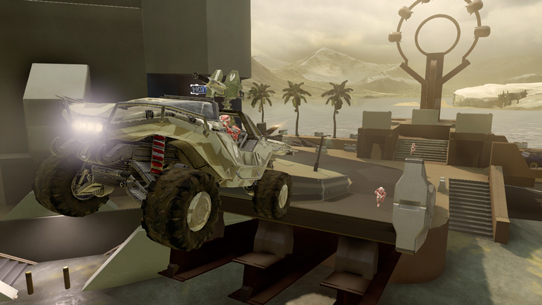 Each qualifying player and coach will be flown out to the event to duke it out on the mainstage in Halo 3. We also hope to host several exhibition matches to continue the fun, with lucky Microsoft Store competitors, content creators, pro players, and fans in attendance. Plenty more details will be coming soon, stay tuned. If that wasn't enough, we'll be returning to DreamHack for DreamHack Dallas on May 31 - June 2 for another Halo 3 4v4 event as part of HCS Grassroots. It seems as if nothing can stop the Halo 3 hype train right now. 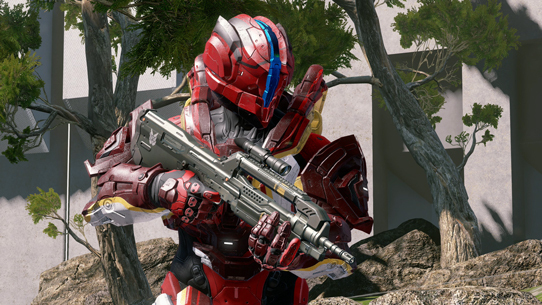 As mentioned above, Free Play Days for Halo 5 has begun and will be live throughout the weekend! Tell your friends to queue up their downloads and jump in to play some Halo 5 for free. We have a solid offering for the players jumping in to test the water, we'll be leaving Holiday Fiesta and Castle Wars up over the weekend and into next week. Oh, and Double XP, yeah – that's staying on through the weekend too. For those of you keeping track at home, that means that Double XP will have been live for over a month since kicking into effect before the holidays! 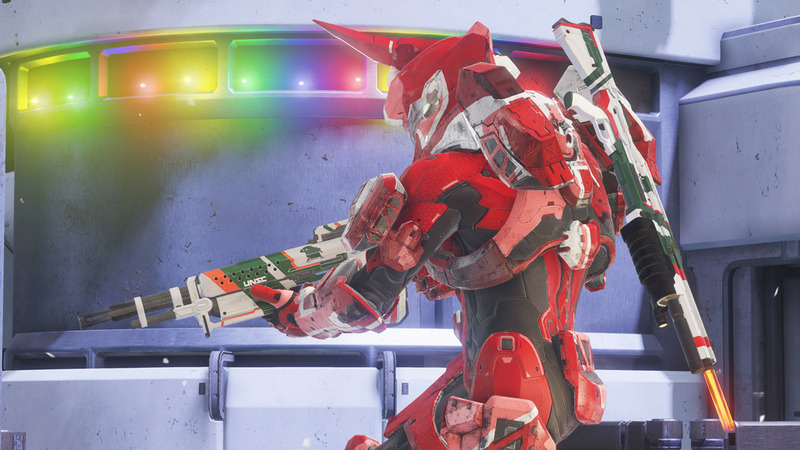 Then next Thursday, as we look to return to our normal rotational cadence, Holiday Fiesta and Castle Wars will come down to make way for Action Sack and Halo 2 BR Slayer. We'll be running Action Sack for three weeks so that we can gather player feedback on the maps and modes in the playlist to assess what might require a refresh. H2 BR Slayer will live for two weeks, so that everything can return to our weekly alternating schedule. Any yes, both the Big Team Battle refresh and Head to Head playlist that Josh Menke mentioned in our last Community Update are still very much a thing! The MCC Team has been listening closely to your feedback in regards to the matchmaking experience, and just released an update yesterday to help address that feedback. From lowering the weighting of AR start entries in some playlists to tweaking the Halo 3 Infection offerings so it better reflects the Living Dead playlist from back in the day – they've been paying very close attention. You can read up on all of the latest matchmaking changes here! If you haven't tried sharing your thoughts yet, jump into the MCC Forums here on Halo Waypoint and give it a go! As you know, MCC's December game update ran into an unfortuante late-breaking issue which caused the release to be postponed. The team has been working to get everything squared away and is currently targeting soon (beyond the blast radius of the Halo Classic by UGC) to release the next patch. We're eager to get the new Halo: CE skulls, "modern aiming" control options, and additional improvements into your hands and appreciate your patience and support. The community-run American Grifball League of America presented by PlayGrifball.com is returning to Halo 3 on Halo: The Master Chief Collection for the first season of competitive Grifball in 2019! Signups for their Winter League 2019 Season open Monday, January 14 and will have matches beginning before the end of the month. If you can't commit to a full season, custom lobbies are organized every night on the Discord, as well as “Late League” which offers a taste of the competitive environment. The Grifball community will be answering questions in their Discord server all the way up until registration. We touched base with the HaloGear in our last Community Update of 2018, and they reminded us that there would be a ton of print media coming out at the start of this year. They weren't joking, and it's my job to let you know that two of those things are now available for your enjoyment! 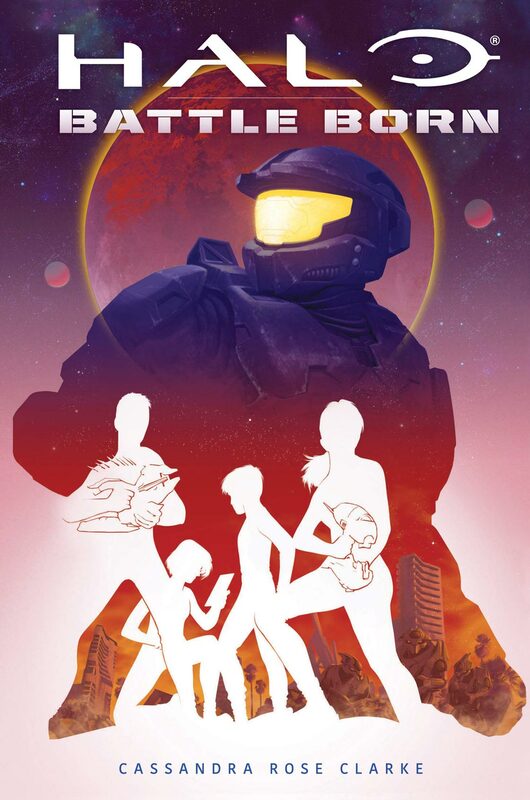 For the Spartans who are a little earlier in their literary career, our first young-adult Halo novel just released a last week. Halo: Battle Born follows four teenage civilians who fight for survival while the Covenant lay seige to their home planet, Meridian. I'll be giving this one a read on my flight to St. Louis for UGC's Halo Classic event this weekend, so why don't you join me? The first issue of Halo: Lone Wolf, which follows our favorite Spartan-II sharpshooter Linda-058, can now be picked up online and in stores. Curious? You should be. 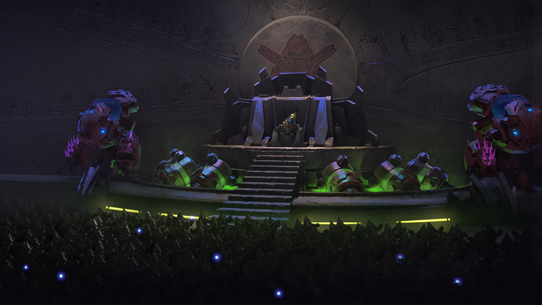 Get a glimpse at the first three pages (with amazing art) right here! As a reminder for next week, the Halo: Collateral Damage Hardcover compilation (containing all three parts of the miniseries) will be available for purchase on January 16! Also, I know the @HaloGear twitter was interested in doing a #FreeStuffFriday sometime soon, so you may want to give it a follow and keep your eyes peeled. Halo: Reach was completed in 1hr 35m 2s at AwesomeGamesDoneQuick (AGDQ) by speedrunners Pedrogas and Wolfy with commentary provided by Jangoosed! Watch their full playthrough by clicking on this link! We've also made a Blue Team Pack which is based on the same style of the Memories of Reach Pack. Only items that directly relate to the members of Blue Team can be found in this pack, and it includes three permanent unlocks as well as eight single-use items. If you're a fan of Blue Team, this was made for you! Last but certainly not least, we talked about Halo Infinite quite a bit in our last 343 Social Stream of 2018. 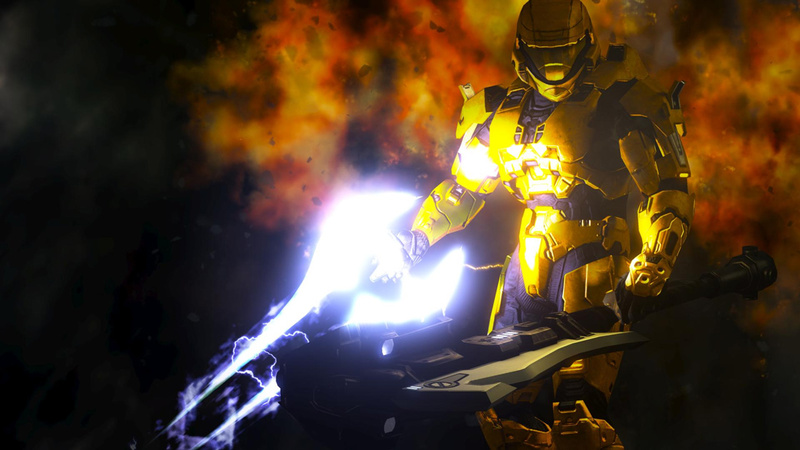 We mentioned that we have splitscreen up and running, players who happen to hit SR 152 in Halo 5 will receive a token of appreciation in the game, fans of Reach's customization should be happy with Infinite's customization, black undersuits are a thing, and the fact that we'll have another internal 343 Pro Team, along with a couple of other things. I highlighted most of the key points in the last Community Update here! Now that I've written about nearly everything Halo-related under the sun, I'd like to take a moment to introduce a new member of our Community Team. She's been a super active member of our community for years and has worked in a few different places around the Xbox neighborhood. Here's Sam, but you should just call her snickerdoodle! More importantly though, I come from the community. I’ve been playing Halo since shortly after CE launched (thanks Dad!) and I jumped heavily into community involvement back in 2010/2011. In December 2011, bs angel decided I’d be super helpful to her mod squad and the rest is history! We're glad to have you on the team and inside the building Sam, and we hope you have a fantastic birthday this weekend! Before signing off for this Community Update, I wanted to shed some light on an act of kindness that took place while we were away. Over the holidays Jon Anguiano, a Gaming Expert at the San Antonio Microsoft Store, hosted a Halo 3 2v2 tournament with the nicest catch of all time. Participants were asked to donate a toy that would be given as a holiday gift to kids at The Children's Hospital of San Antonio. He oversaw the tournament, collected the donations, and finished the day with over 40 toys and a successful event under his belt. However, the best part was still to come. 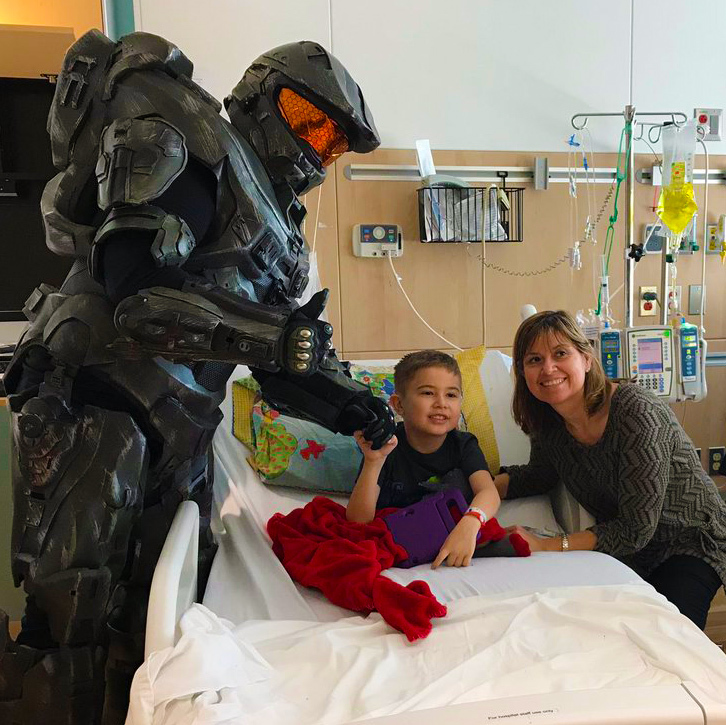 On December 28, he visited the children's hospital with our main man, Master Chief, to hand out all of the toys and help bring out plenty of smiles and hugs for the holidays. That's all we've got this time folks, but I wanted to leave you with a question. If you could have one piece of Halo art in full quality (poster art, cover art, memorable screenshot, etc.) what would it be?